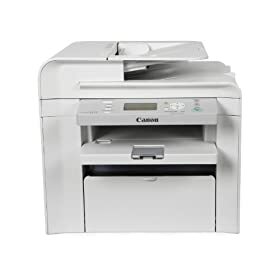 Offering speed, convenience and reliability in a virtually maintenance – free and compact design, the imageCLASS D550 Black and White Laser Multifunction Copier is the perfect solution for any home and small office. Why wait for prints? Canon's QFP technology delivers your first print in approximately 6 seconds. 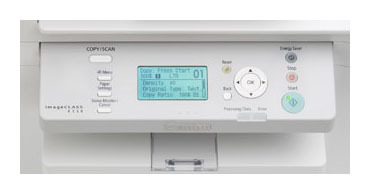 Two-sided output for printing and copying uses half the paper and reduces waste. The user-friendly 5-line LCD allows you to navigate through features effortlessly. The 50-sheet duplex ADF increases efficiency and productivity..
From Power on, get high-quality documents and images at up to 26 pages per minute. Maximize Time. A 250-sheet paper cassette means you waste less time re-filling the paper. 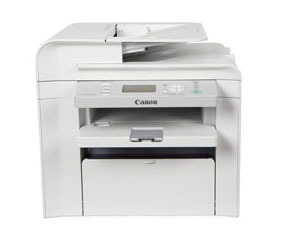 Virtually maintenance-free system combines toner, drum and development unit in one easy to replace cartridge. In the Efficient Energy Saving Mode, only approximately 3W of energy is used.